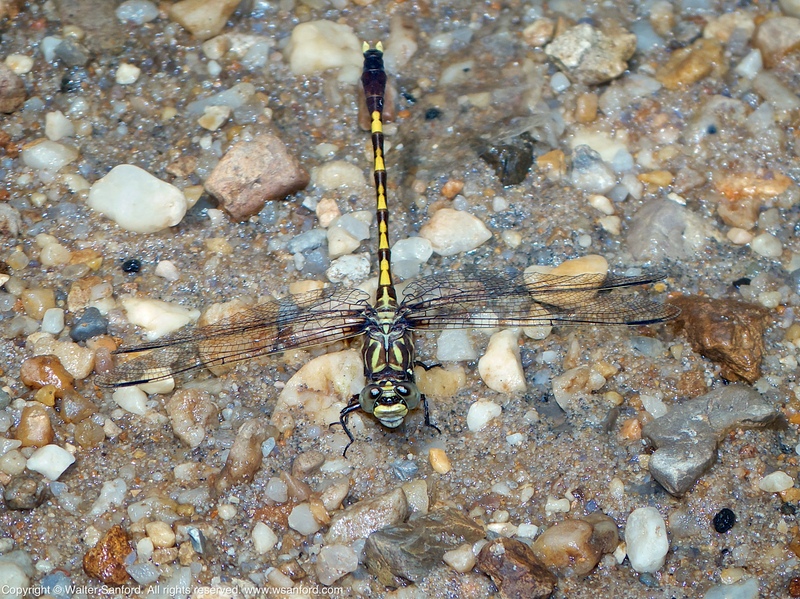 Common Sanddragon (Progomphus obscurus) is a member of the Clubtail Family of dragonflies that is spotted during June and July in mid-Atlantic United States like Virginia. 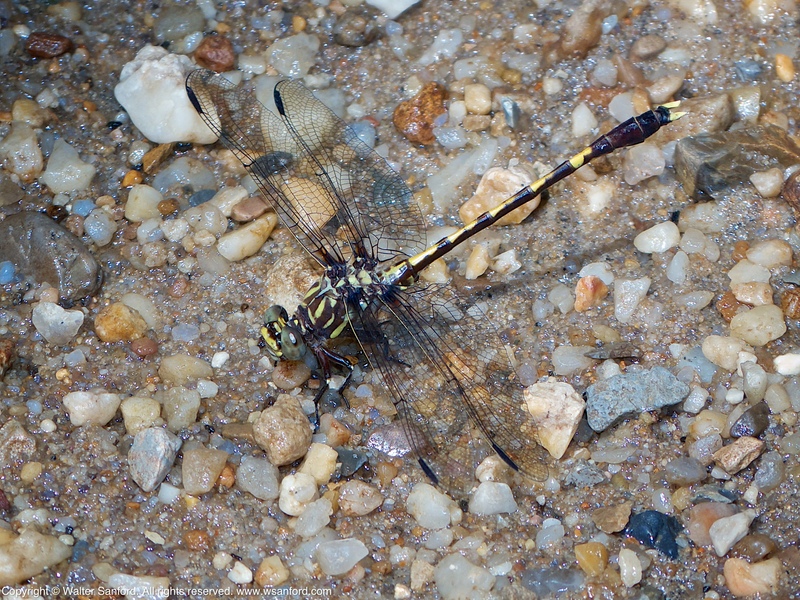 I thought I’d seen the last Common Sanddragons of 2015 in late June. Imagine my surprise when I saw one during the first week in August! 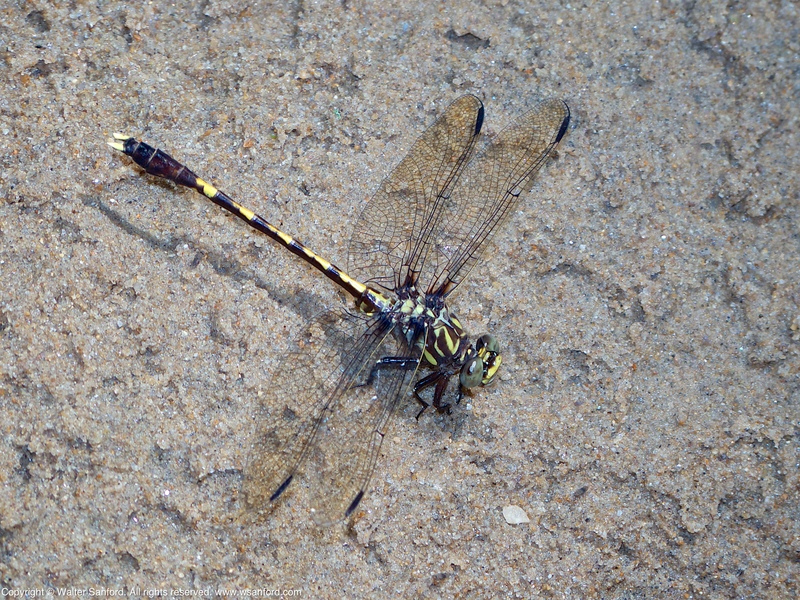 This individual is a male, as indicated by his terminal appendages. He was perching on a sandy beach, facing the water, in the stream bed of Dogue Creek where it flows through Wickford Park. Notice the blue rock at the lower-right in the following photo. Azurite is a deep blue copper mineral produced by weathered copper ore, although I’m skeptical there are copper deposits located in/near Dogue Creek. This entry was posted on August 11, 2015 at 5:00 am and is filed under Aperture, Canon 580EX Speedlite, digital photography, dragonflies, natural science, Panasonic DMC-FZ150. You can follow any responses to this entry through the RSS 2.0 feed. You can leave a response, or trackback from your own site. 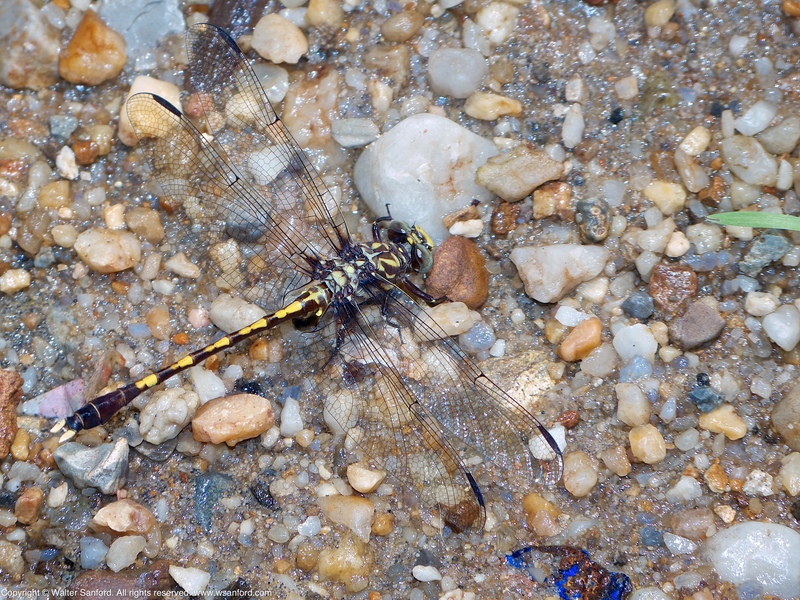 Beautiful shots, Walter, of one of my favorite dragonflies. The large amount of [rain] that fell in June flooded the areas where I was used to seeing them, so I didn’t get as many chances to observe them as I would have liked. It’s nice to see at least of one of the survivors held on into August.